SPRAYER DESCRIPTION: This is the one Chapin Sprayer which combines several nice features making it a good unit. The Brass wand is standard as is the zinc shut off valve. These are not common components of most sprayers in this price range. Combine this with an adjustable brass nozzle, a fully serviceable pump assembly and you have a sprayer which can provide years of service. 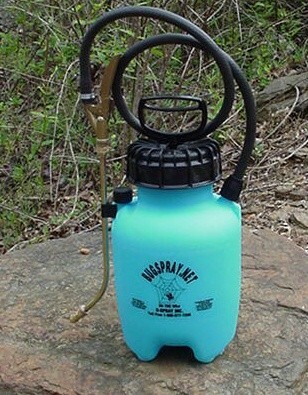 This sprayer is slightly smaller then our other 1 gallon units but it's just as functional and can handle most any job. I purchased my sprayer several years ago and it has served me well. This last summer it blew a seal and will not develop pressure when pumped, it sounds like all the air is discharging into the liquid which is not normal. Heeeeeelp! Can I purchase replacement parts? My unit looks most like this one but the reservoir is white not green. Sounds like one of the common gaskets in or on the pump. These will wear out over time and need to be replaced. 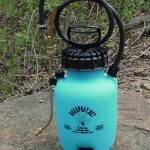 There are 2-3 depending on the model of your sprayer and we usually have these in stock. To best serve you, it would be wise to call ahead so we can try to further evaluate which model you own, what part you'll need, etc. Now due to the holiday, we won't be open till 8:00 AM Thursday, December 26th. Have a great holiday!